UNCOVER™ Podcast – an entrepreneur podcast where we will discover and uncover the truth about business. UNCOVER™ Podcast is a video style interview series led by Social Branding expert and host, Jasmine Sandler whose mission is to deliver the TRUTHS in business to educate and support the honest growth of businesses worldwide. The Entrepreneur Podcast interviews entrepreneurs and executives from all walks of life – from creative professionals to technical experts , scientists, sport celebrities and actors – to share their real stores of success, failures and everything in between. Each episode promises to deliver actionable tips for aspiring business and creative professionals to take into their own businesses and careers for ultimate, authentic growth. 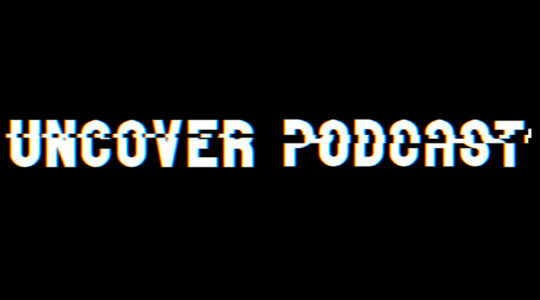 The UNCOVER™ Podcast series is produced by Victor Rojas. If you enjoyed that , visit our Youtube, Soundcloud or Itunes channels to enjoy more.